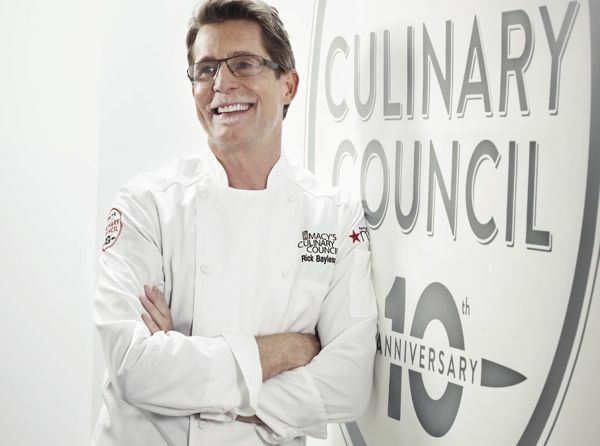 Join me at Macy's Culinary Council with Rick Bayless for a special Fall cooking demonstration and book signing on Thursday, October 29th, 7th Floor Kitchen, at 12pm. Impress your family & friends with tips and tricks from Chef Rick Bayless. Learn from the master chef as he shares tips on how to prepare some of his favorite award-winning dishes! There will be plenty of scrumptious samples to enjoy! After the Chef Rick's cooking demonstration, you can head to the lower level and explore and stock up on the latest in cookware and kitchen gadgets. Plus, with any purchase of $35* or more in the Macy's home department, receive a $10 Macy's gift card and a copy of Frontera,** which Chef Bayless will sign directly after the event. ***Seating is limited and on a first come, first served basis. Event subject to cancellation or change. Seating is first come, first served. *Purchase must be made at Macy's on State Street on Oct 29, 2015 **Gift card valid 10/29/15-11/5/15 only. **One per qualifying purchase, while supplies last, while time permits. Gift card and books distributed on Oct 29th.